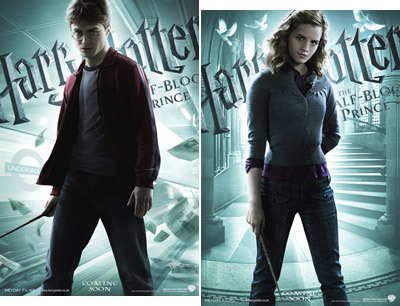 The banners for the new Harry Potter movie are now available online. Haha. I just saw on Click the City. Go get -em if ya want -em bloody banners! I remember the first Harry Potter movie that came out, I had no clue what it was about. My girlfriend was explaining to me while we were watching. lol. You can probably say I'm one of those converts. I have since then read and enjoyed all the Harry Potter books and have all the movies so far on DVD. lol!